The X-24 lifting bodies were used for subsonic and supersonic flight testing, as well as approach-and-landing tests. The Air Force hoped that they would lead to a follow-on, possibly called the X-24C, which might have become an operational spacecraft. The Air Force viewed the operational X-24 as a replacement for the canceled X-20 DynaSoar. The X-24’s lifting-body shape would have solved some heating problems which DynaSoar faced on its wingtips, but it could not solve the political problem of a Congress and White House that did not want to fund military manned space programs. 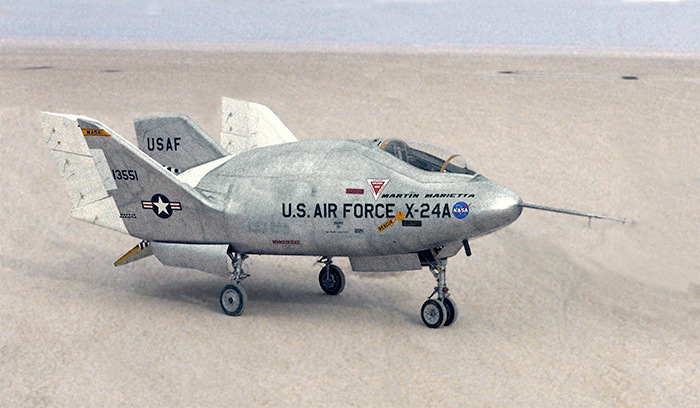 In addition to the rocket-powered X-24A /B, Martin Marietta designed and built two jet-powered lifting bodies, called SV-5J’s, as a company initiative. This was apparently done at the request of Col. Chuck Yeager, the commander of the USAF Aerospace Test Pilots School, who remarked that they would be useful as astronaut trainers. Unlike the X-24A/B, which was dropped from a B-52 for flight tests, the SV-5J’s could take off from a runway under their own power. The Air Force dream of having its own astronaut corps and space program died in the 1970’s, however, and lifting-body research and development largely died with it. 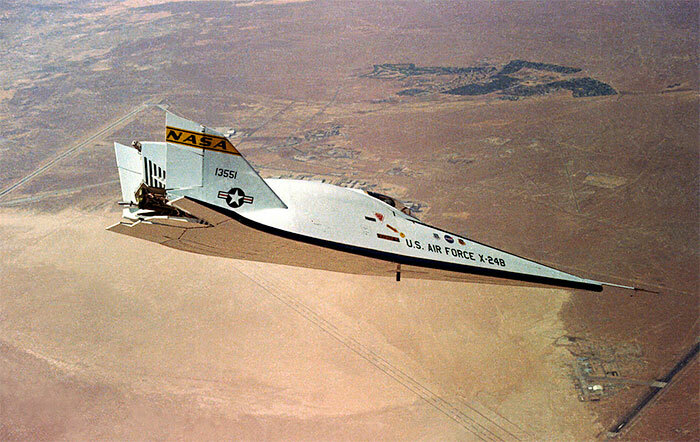 The last flight of the X-24B was in November 1975. Given Martin Marietta’s history, no one was surprised when Lockheed Martin proposed a lifting-body concept for NASA’s Crew Exploration Vehicle in 2005. The lifting-body design had significant advantages over a traditional capsule. The lift/drag ratio at hypersonic speeds was much higher, allowing for a more gradual reentry and consequently lower g forces. Apollo astronauts were subject to forces of up to 7.2g on reentry. On longer duration missions, crew would be deconditioned by long exposure to microgravity, reducing their g tolerance, so the health and safety of returning astronauts is a concern. Unfortunately for Lockheed Martin’s lifting-body dream, NASA had other ideas. Some top leaders had already signaled the fact that NASA wanted a capsule. Former Apollo astronaut and Associate Director oh Johnson Space Center John Young had published an op-ed article back in 2003 stating that NASA’s CEV (which then stood for Crew Escape Vehicle) should be based on Apollo. Young had recently worked on a report advocating the use of Apollo systems for the CEV. Other authors on the report were fellow Apollo astronaut Vance Brand, former Johnson Space Center director Aaron Cohen, former Dryden Flight Research Center director Ken Szalai, and former NASA deputy administrator Dale Myers. The White House also telegraphed its desire for a capsule. In his January 2004 speech at NASA Headquarters, President George W. Bush said that the new Crew Exploration Vehicle would be “the first of its kind since the Apollo Command Module.” Lockheed Martin did not realize how literally those words would be taken. NASA picked Lockheed Martin as its preferred contractor for the CEV, which surprised many observers. (Despite Martin’s lifting-body experience, neither Lockheed nor Martin Marietta had ever built a manned space vehicle. Its chief competitor, Boeing, had built most of the US components of the International Space Station and inherited the Rockwell and McDonnell Douglas space divisions, which had built Mercury, Gemini, Apollo, Shuttle, and even the X-15). It did not accept Lockheed’s lifting-body concept, however. Lockheed Martin was instructed to go back to the drawing boards. It came back with a capsule that had steeply sloping sides, which was redesigned again to create the final concept, which NASA Administrator Mike Griffin called “Apollo on Steroids.” Lockheed Martin’s attempt at innovation had failed. 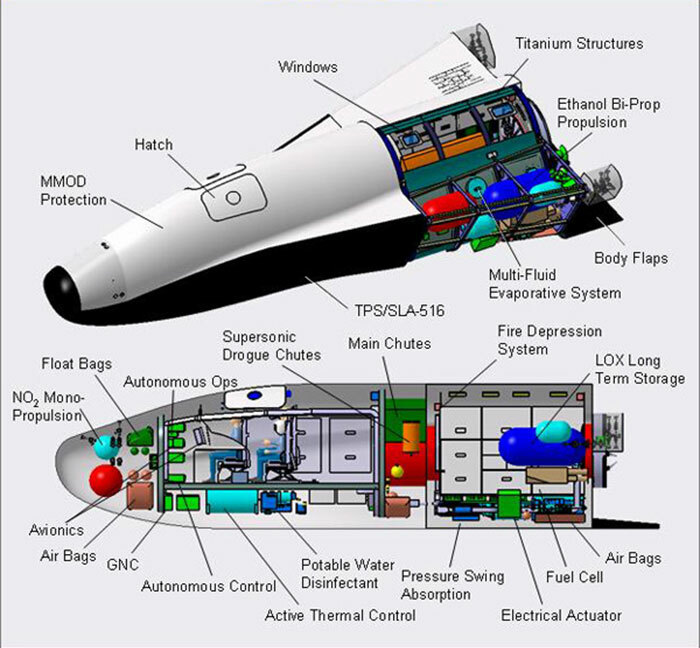 The Dream Chaser is based on the HL-20 Personnel Launch System which NASA studied in the 1990’s. The HL-20 was intended to be a personnel-transport, light-cargo, and crew-escape vehicle for space station Freedom. 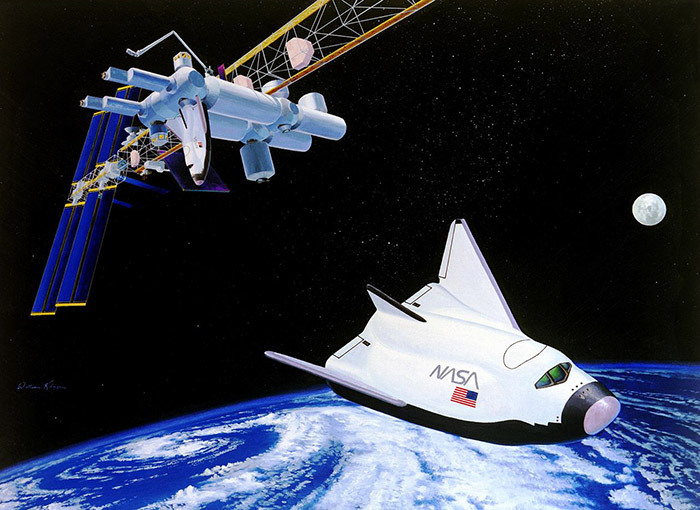 The HL-20, shown in the artist’s concept below, bears a strong resemblance to the current Dream Chaser. The HL-20 never got beyond internal studies at NASA. Had it gone to contract, it is likely that Lockheed Martin would have bid on it. 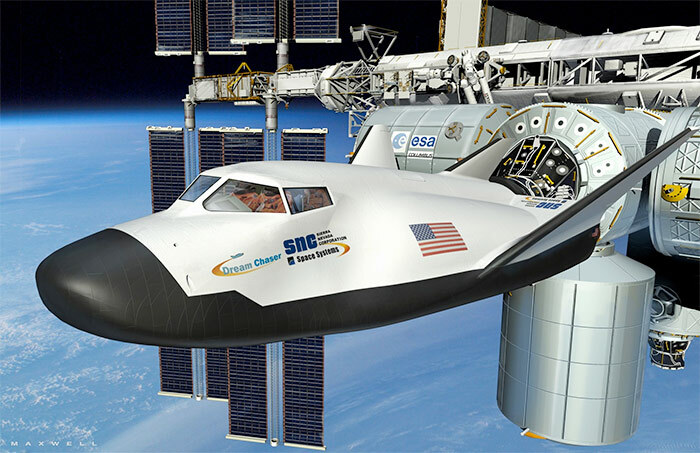 Sierra Nevada later acquired the HL-20 design from NASA and used it as the basis for Dream Chaser. With the new partnership, Lockheed Martin may finally get to build the lifting-body airframe they might have built for NASA in the 1990’s.